We have heard crazy stories about Chinese people going to the extent of selling their sperms to kidneys to newborn kids to own Apple’s latest gadgets. Well, this obsession to own an iPad and iPhone has now rendered this Chinese man bedridden for life! Wang Shangkun, now 25, had sold his right kidney as a teenager (17 years) in 2011 to the black-market organ harvesters to buy Apple’s latest devices, as his family was too poor to afford it. 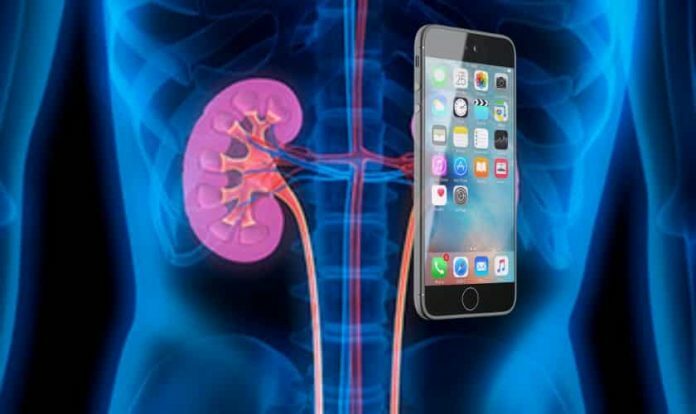 Back then, he received 22,000 yuan for his kidney, which he used to purchase an iPhone 4 and iPad 2, reports News.com.au. “Why do I need a second kidney? One is enough,” he had asked at the time. According to CNTV, Wang who dreamt of owning Apple’s iPad 2 was approached by human organ harvesters online, who offered him hard cash for his kidney. Without informing his family, Wang secretly traveled from his home in the eastern Anhui Province to the southern Hunan Province. After the operation was carried out, Wang was sent back home. Wang’s health started deteriorating immediately after the operation. Unsanitary conditions at the time of surgery and lack of postoperative care are believed to be the reasons behind the development of infection that eventually led to renal failure in his second kidney. Wang’s health condition also forced him to give up on his studies. According to local China media reports, Wang now spends his days in bed and depends on the dialysis machine to clear his blood of toxins to survive his kidney failure. He is now dependent on social benefits. In 2012, nine individuals were arrested in connection with the sale, including five surgeons, and were jailed for their involvement. Wang’s family reportedly received $225,000 in compensation the same year. it means the technology was killing the people .